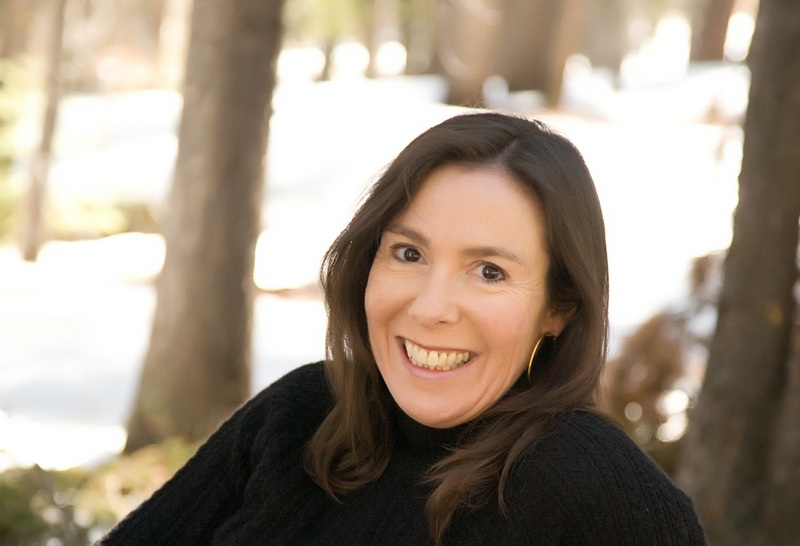 We are pleased to welcome Candace Kearns Read to the Blood-Red Pencil team. Like everyone, I have plenty of fears. At the top of the list are snakes, evil spirits, falling off cliffs, and… being honest. So, when I set out to write a memoir several years ago, I found it difficult to create a final product that was any good. Sure, I could draft chapters, but instead of conveying the intensity I wanted, many passages were stiff, clinical, awkward. I tried and tried, but I couldn’t quite relax on the page, and it showed. I didn't realize it at the time, but I was hiding my truth. I was afraid. 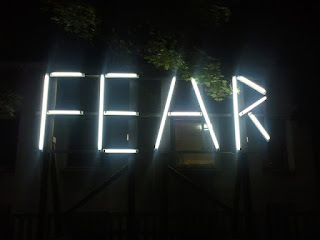 Speaking – and writing - our truth is scary. We fear ridicule, judgment, the pure vulnerability of exposure. My memoir tells the story of my attempts to save my aging Hippie mother from drug addiction, and the journey I took towards saving myself instead. It felt risky to write this book, and risky to publish it. I was afraid that those who knew my mother and loved her would look down on me for not ultimately saving her, and that they would judge me as harsh and unfeeling for walking away. On the other hand, I was also afraid that people who didn’t know my mother would think me a fool for throwing so much of my life away as her caregiver. I’ve made a lot of mistakes. In order to make the book successful, I had to tell the truth about those mistakes. I had to come clean about my flaws. But coming clean was for brave people, not writer-wimps like me. I wasn’t ready. So I fictionalized the book. Even though I’ve never been a fiction writer, and had no idea how to write a novel, I messed around with it for nearly a year. I changed the names, added embellishments here and there, and experimented with telling the story in present tense rather than past. This freed me up to be more honest, since it wasn’t really me I was writing about anymore. But then I found a publisher who wanted to publish it, and once that happened, I was struck with a whole new panic. They were going to publish my true story… as a novel? No matter how many names I’d changed, scenes I’d recreated a little more dramatically, or time periods I’d truncated, this was not a novel. There was nothing about the story that wasn’t essentially true. The basic DNA of it wasn’t imagined – it was remembered. The essential structure - the story of those three years at the end of my mother’s life, intertwined with six years of my childhood, remained. I had to decide what would be worse: to tell my truth as fiction, and thus be perceived as hiding (and rightly so), or to put it out there as my truth, and risk being thought of as self-indulgent, shameful, incompetent, or worse. It was my ego versus my soul. Ultimately it was about integrity. I had to be honest. I had to publish it as a memoir. I had to revert it back to the real names, the real timelines, the real scenes. When I proposed the idea to the publisher, they were thrilled. “It’s much more effective as a memoir,” she said. Of course it is, I thought to myself, because it is a memoir. But that wasn’t the end of the fear. When the publisher set a date for release of the book, I wasn’t just afraid, I was petrified. What if my writer friends and the publishers were all wrong, and it wasn't any good? Not only had I written a book, it was about me, and I was being honest about that. I'd be ruined forever as a writer and a person. What if people didn’t read it? What if they did and hated it? My dream of becoming an author would be dead. Finished. Kaput. Luckily, none of that happened. Instead, when I crawled out from under the tortoise shell of fear and shame, I was greeted with an amazingly positive reception. Contrary to my fears, readers have found the book compelling. It seems that because I did write my truth as honestly as I could, people are responding. What I’ve learned is this: At the point of no return, when you are writing a book, and later, when your book is being published, you have to shut the door on your ego. You have to trust that the world is a (mostly) loving and supportive place. And you have to build a solid enough community of reader-friends who will tell you when the book is ready for publication, and when it is not. The scariest story of them all is your own – when you’re trying to write it. But Mary Karr and Andre Dubois III and Cheryl Strayed all say the same thing, and having experienced it, I now agree: You have to strip away your protective defenses, smash your urges to sugar coat the truth, and turn yourself inside out in order to make the writing work. You have to expose your truth, even when it makes you look bad – no, especially when it makes you look bad, because in the end, that courage, that honesty, especially in memoir, is what will make it shine. My mother burnt my diaries when I was 21, so I've been rather put off the idea of penning any sort of memoir. Twice shy, as they say. I do admire that raw honesty, though. Thank you, Elle. Wow, there's a story there. I understand your hesitation! It is a painful endeavor to write memoir. I'm not sure what came over me, but at a certain point, it became too late to stop! But I think many lessons learnt and observations made throughout my life make it into my fiction anyway - not the actual events, or even the people, but the psychology involved. So it gets used, and wisdom (such as it is) passed on, regardless. It takes a lot of bravery to expose one's story to the world, especially with the lack of civility in the world today. Thanks, Diana. So true! One never knows what mud might be slinging our way! Telling the truth is a lot like going to the dentist. It's scary and painful, but ultimately a relief. I hope your honesty continues to inspire. Welcome aboard! 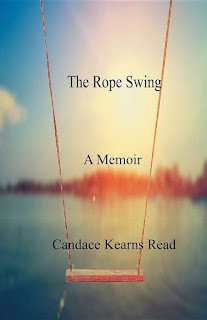 Candace this post says it all about writing memoir. It's refreshing to read about your fears, some of which I felt on my own journey - though as you know I'm more shameless than you - but my point is that when I was reading your book I had no idea you had worried about any of the things you describe here. Your book is so deeply honest that it seems to me you succeeded at leaving those fears behind, or at least succeeded at writing what you would write if you weren't afraid. Bravo! First, congratulations on writing your book/memoir the way you wanted to. I understand your fear of opening yourself to the world. One thing: we're all afraid that what we write isn't good enough. I've had those feelings with every book. We can only do the best we can. Best of luck and much success. Welcome aboard, Candace! Love your post and your honesty. As a fiction writer, I incorporate a lot of reality and a lot of experiences in my stories -- some are personal; some are those of friends and relatives. Even on the printed page, those realities still bring tears to my eyes, and they were painfully difficult to write. I can only imagine how terrifying it must have been to share your realities as a memoir. Kudos to you for overcoming your fears and sharing what may well help readers who have survived similar realities! Welcome to the team, Candace. I loved the post and found it very timely as I am on my third attempt to write the story of my mother's life as a novel. Welcome aboard, Candace. Yeah, those not-good-enough fears. I have an interesting twist on that one - that everyone including PW gives me rave reviews, but I know down deep inside the story really is weak. Not because of a fear, but because it's true. Despite the hype, the story is not what it could have been. Yes, it gets pretty scary when a book is finished and you're waiting to see if anyone likes it.